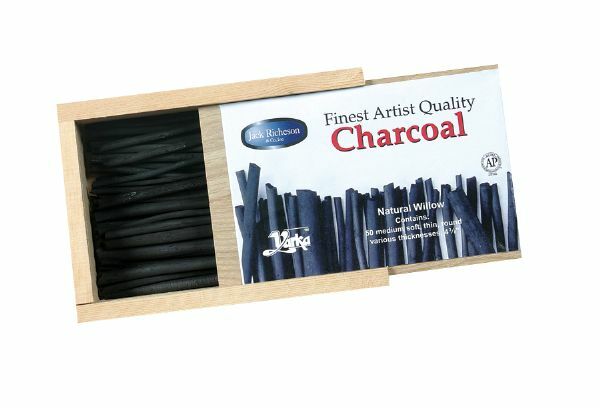 Natural willow charcoal features smooth coverage in a soft-medium grade which provides easy shading from black to gray. Produces an even line with no blank spaces. Supplied in wood box. Fade-resistant. Certified AP non-toxic by ACMI. 50 natural willow sticks various dia. x 4-3/8" length.